The design concept of the Pica, follows the concept of our entire product line, which enhances a unique detail of our logo… the Icaro Edelweiss flower. The detail is selected to fit the personality and specific characteristics of the glider and is combined with vivid colors to create a special presence in the sky. 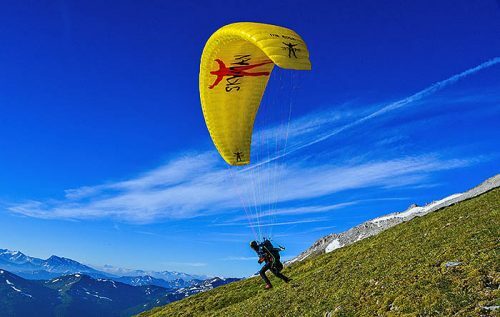 The Pica was developed, specifically, for those who want to begin paragliding in the easiest and safest way possible. 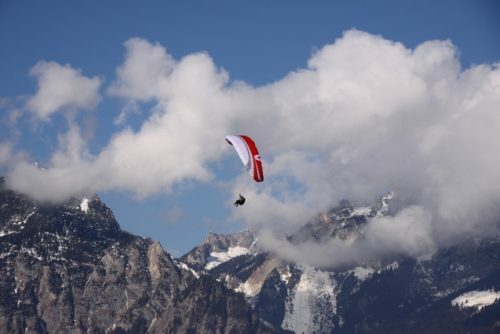 Simplicity and safety allows you to focus on the most important aspect of flight… fun!!! The Pica provides agility in thermals, a wide range of performance and direct handling features. This gives you the opportunity to learn new skills and improve your existing skills. Most importantly, you’ll enjoy every minute under this wing! 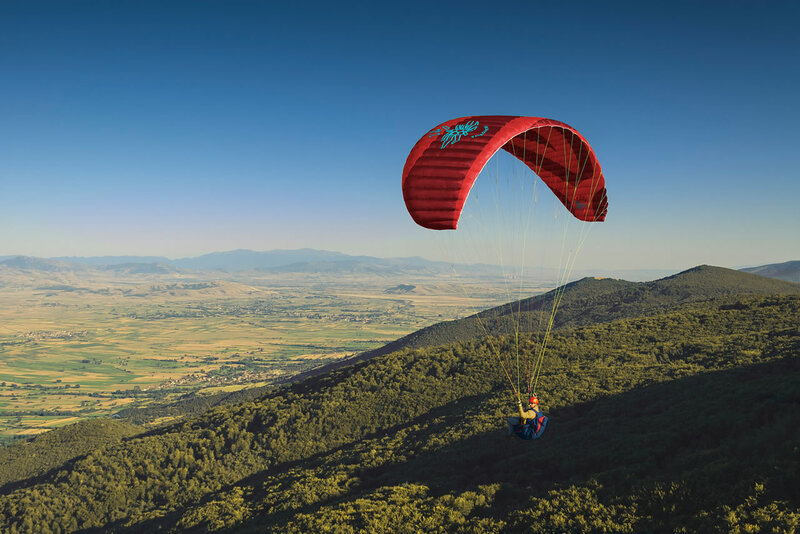 The product compass below will assist you in determining which glider will best support your needs. 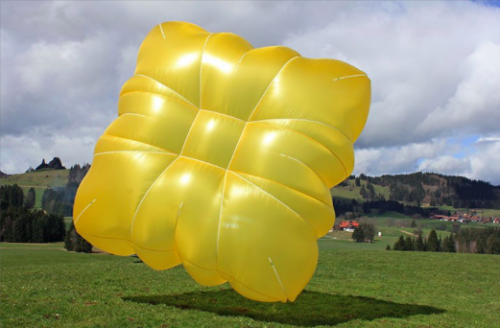 Characteristics of the glider during the initial inflation. Characteristics of the glider during the landing approach. 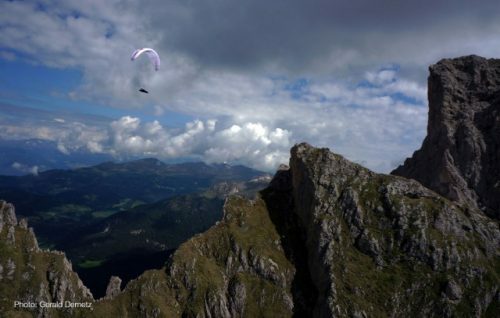 The gliders general stability while flying in turbulence. General glider stability without pilot input. The ease by which the pilot can identify, enter and center (core) a thermal. The distance the glider can travel from a given altitude. How quickly and easily the glider responds to pilot input. The total glider weight including all rigging. Sensory information the glider provides to the pilot about flight conditions. 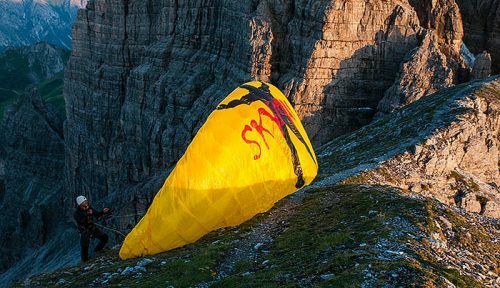 The volume required to store a folded paraglider. How quickly the glider responds to pilot input. 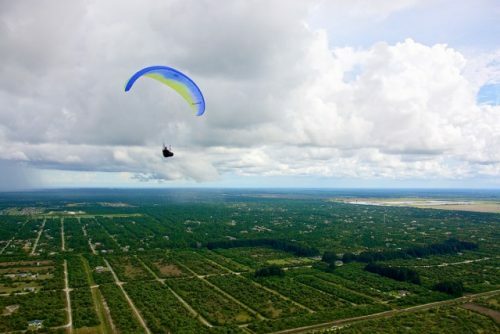 The maneuverability and handling of the glider. 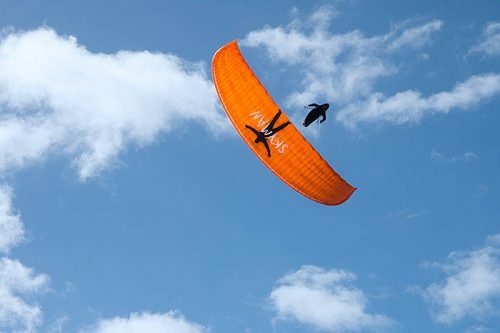 How well the glider retains energy in dynamic flight. Launching the Pica is extremely easy and predictable. The glider inflates with very little input and it’s docile manner will smooth out any pilot mistakes. 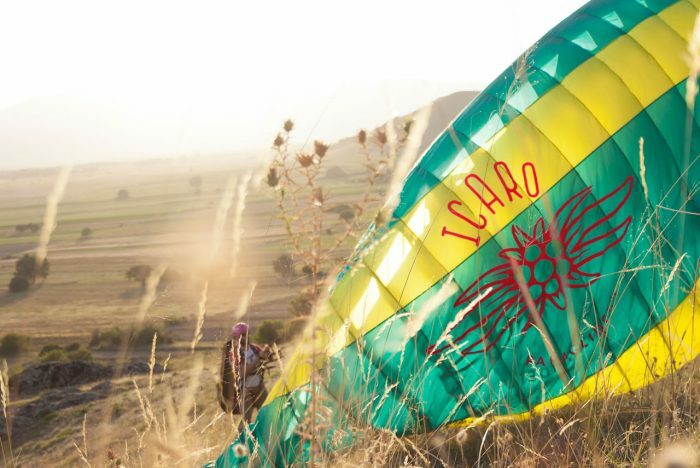 The Pica has almost no tendency to overshoot and pauses momentarily alloowing the pilot to check the glider before committing to launch. 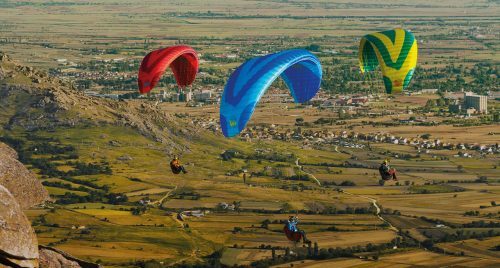 Once airborne, the Picas smaller surface area provides direct handling and feedback normally associated with higher performance wings. 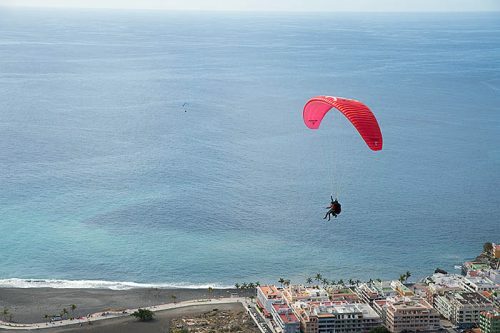 The inherent passive safety surpasses even gliders in the A-class, allowing the pilot to relax immediately in flight. Pica loves to climb too, and sits stable above your head. When entering the thermals it subtle pitch backwards, notifies the pilot of lift, without causing anxiety. 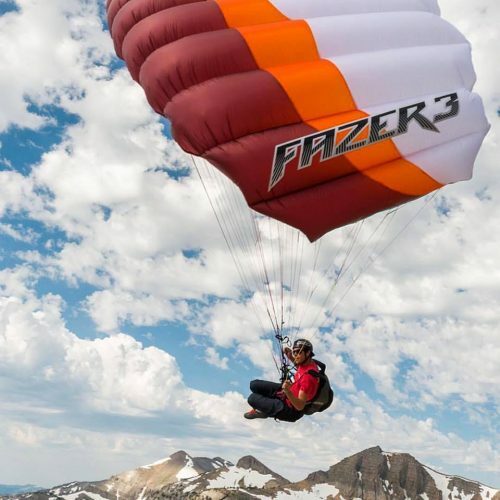 It gently surges as you reach the core, helping less experienced pilots center thermals precisely, while more experience pilots will be able to maximize climb rates immediately. Pica will help improve your thermal skills by providing the right amount of feedback at the right time. Pica also provides a wide range of speed helping pilots transition between thermals during cross country flights, while retaining a low stall speed. 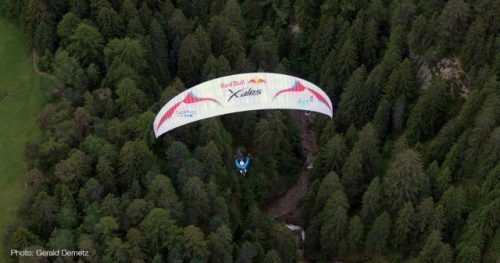 It’s possible to land with no wind, or a slight tail wind in an unfamiliar LZ, and still look like a pro, with a soft, tip toe landing. 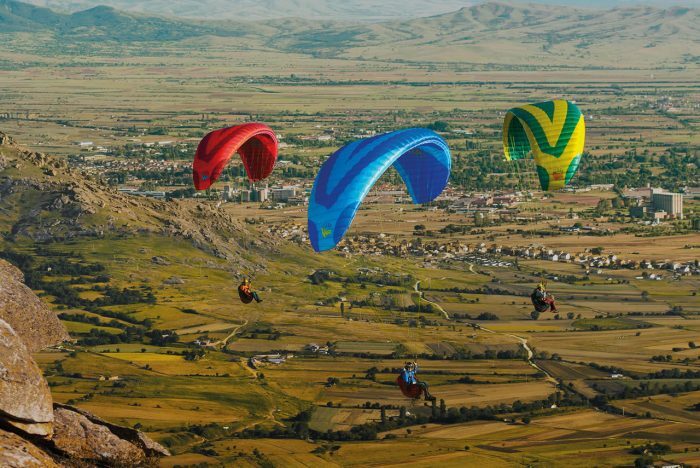 The newly developed line and riser geometry has been optimized for inflations, efficient flight, landings, and specific maneuvers like big ears, which have been optimized for stability and high descent rates. 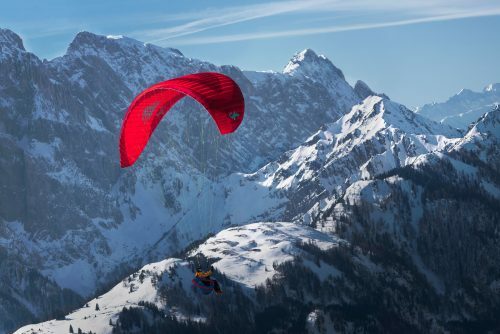 The Pica is a hybrid 3-liner and has only two (2) primary suspension lines per side. The 3-liner concept, minimizes the number of lines and simplifies the line geometry. The setup time of Pica has been reduced with the simplified line layout… less tangles and better visibility of cleared lines. It improves the Pica’s performance as will, since less lines provide less parasitic drag improving overall performance. 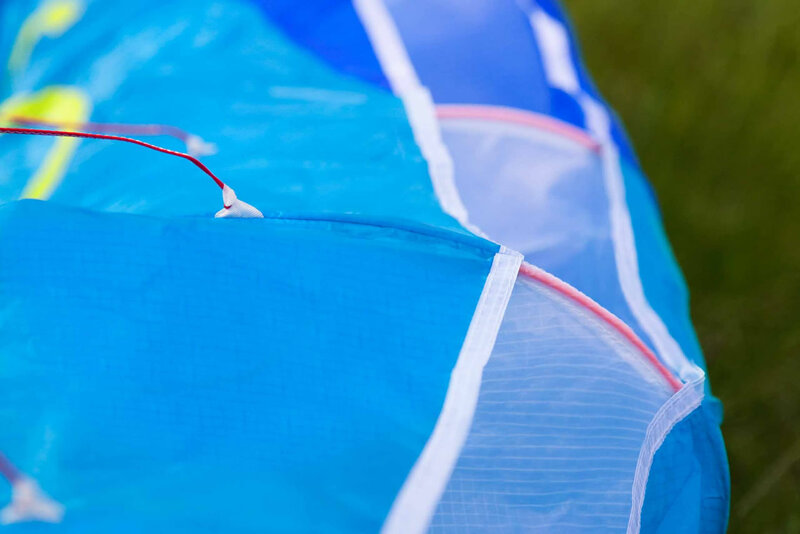 The risers have a perfect finish, with carefully colored and taped risers, which provide the pilot with better visibility during inflation and flight. 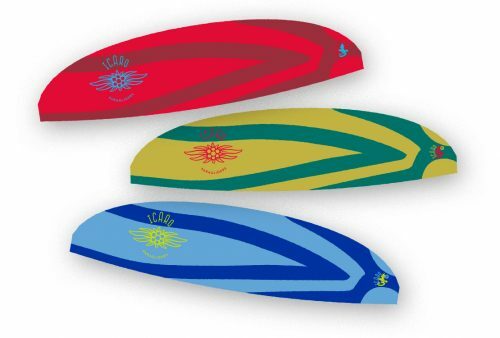 Get to know your Pica – here are the specs.